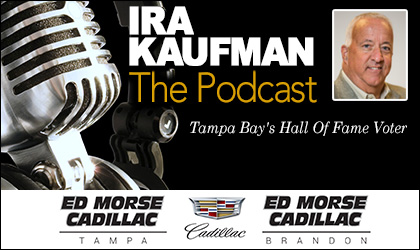 Go inside Ira Kaufman’s breakfast with Tony Dungy and all the chatter on Dungy’s old roommate, Bruce Arians. Ira also has plenty on the countdown to presenting John Lynch for another Hall of Fame vote. Lots of other Bucs chatter with Joe, too. 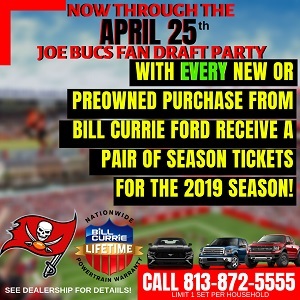 Enjoy his twice-weekly conversation on all things Bucs and more presented by Ed Morse Cadillac Tampa and Ed Morse Cadillac Brandon. HOWEVER, you guys have to crossfade your edits. The editing is super choppy and obvious and its killing me as an audio engineer. Very tight crossfades will cover ALL of that up. Great podcast. Can’t get enough. Mr Joe-D. is growing on me. I usually differ on most opinions, but the man is a sincere, objective journalist. Props to the three of you dudes #keeping it real. I love your candor too, even throwing Schiano and Koetter a bone for being objective and correcting media if/when appropriate. And I love the honesty regarding Lovie. Thanks for giving us Bucs fans something to appreciate. Also, I git a good chuckle out of the Sage’s calling out of Joe on the tennis court. Will there be a rematch? Could you guys invite Rock Star and play doubles? When Joe was a newspaper guy, the best compliment he ever got was when someone told Joe he was fair.